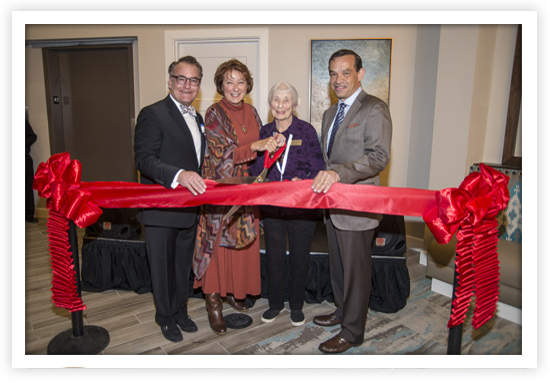 MorningStar Senior Living at Golden Ridge officially opened its doors and hearts at an Inaugural Reception on January 17. 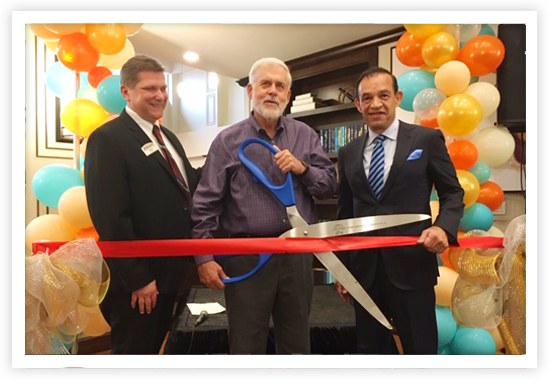 Helping Founder/CEO Ken Jaeger and Executive Director Regan Stone cut the ribbon was Jerry Weiers, Mayor of Glendale. It’s tough to know who we love more, Glendale or Peoria, being situated on the dividing line between the two West Valley cities. Let’s call it a tie! An appreciative and praising crowd of nearly 200 celebrated the evening through, touring the loveliest new senior campus on the Westside. Stop by and make acquaintances with our radiant team. 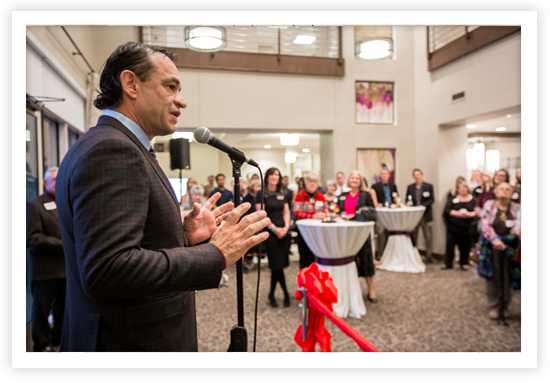 MorningStar Assisted Living & Memory Care of Santa Fe opened with great pomp at its Inaugural Reception on January 10. First depositor Lois Jones (with her daughter, Jan Watson) excitedly cut the ribbon with Bill Bouvier, Executive Director and Founder/CEO Ken Jaeger. The invocation was led by Robert Hurtado. With a level of enthusiasm only engendered by an appreciative crowd of 150, we toasted and reveled the evening through, touring what many of our guests attested to be the loveliest senior community in Santa Fe. Stop by and make acquaintances. The constellation of MorningStars grows! Our second community in Albuquerque, New Mexico, broke ground January 2018 as MorningStar of Rio Rancho. Located on Golf Course Road and Westside, this assisted living and memory care community, will receive its first resident Spring 2019. An Information Center for the public is now open seven days a week on site with model suites. MorningStar Assisted Living and Memory Care of Happy Valley broke ground June 2018 in Happy Valley, Oregon. Located between Sunnyside Road and SE Princeton Village Way, three miles from Interstate 205, the community will celebrate its grand opening in late 2019. An Information Center for the public is now open seven days a week on site, with model suites opening in June 2019. MorningStar at Laurelhurst—120 suites of assisted living and memory care in downtown Portland, Oregon. MorningStar at Moorpark—Memory Care community in San Jose, CA. MorningStar of Mission Viejo—Mission Viejo, CA.